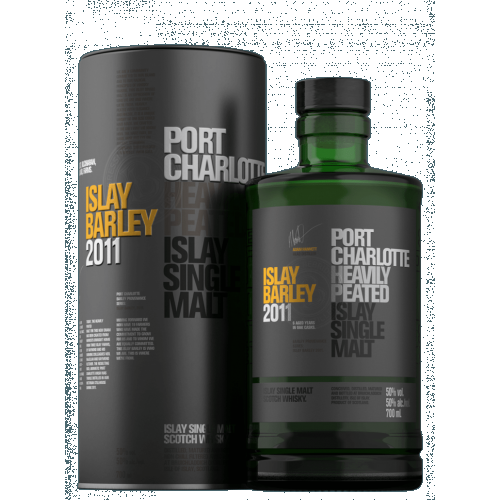 The resulting rich, aromatic Port Charlotte wash was trickle distilled in our Victorian stillhouse during 2011. Moving forward Bruichladdich now have 19 farmers who have made the commitment to grow for us and to whom we are equally committed. Nose: A whirlwind of vibrant aromas burst from the glass, an earthy tarred peat smoke. Vanilla pods, creamed coconut and chocolate speak of the American oak maturation. The combinations of aromas intertwine and jostle for attention. 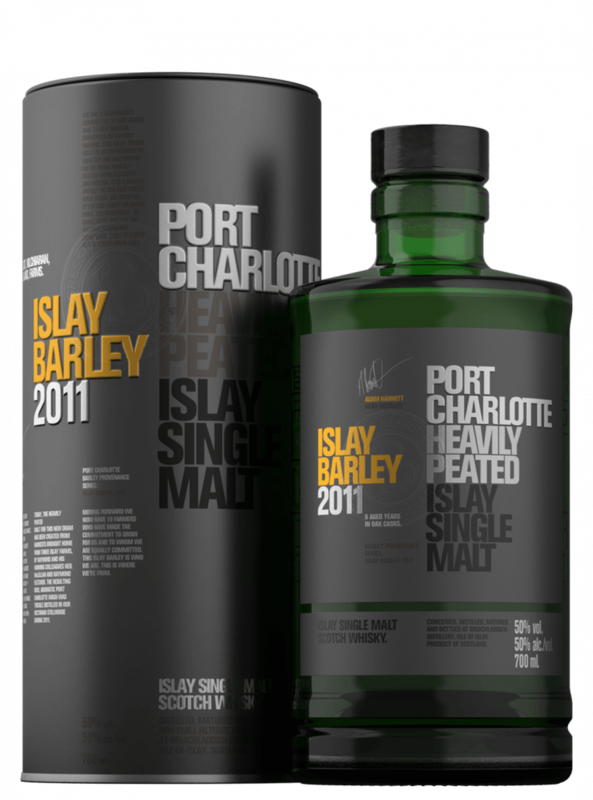 Palate: Hints of salt reinforce the coastal feel. Dry smoke, salted caramel and apple sauce. Then lemon drops, boiled sweets and ground white pepper. The smoke is light on the palate, tar and charcoal rather than medicinal phenols.